For current pricing and ordering please follow the links to our on line store at www.kingcustom.net. A two-in-one accessory! 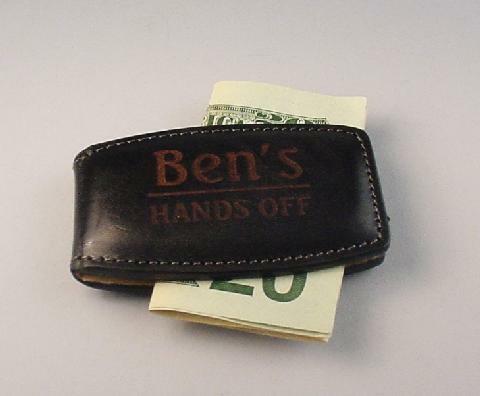 These money clips feature a magnetic closure on the front, keeping your cash safe, while the slots on the back give you a place to store your cards. 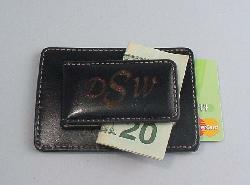 These money clips are made of a soft genuine leather. We'll inscribe a monogram, full name or whatever you want, for that unique and personalized money clip. Personalize these with your message! 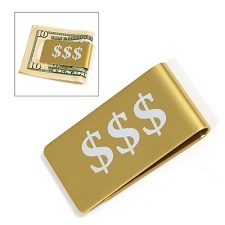 These money clips have a magnetic closure to keep your cash safe. Made of soft genuine leather. 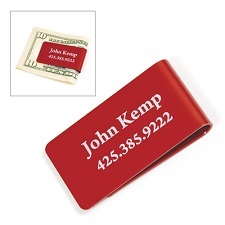 We'll inscribe a monogram, name or saying, whatever you want, for that unique and personalized money clip. Personalize this item with your personal message! 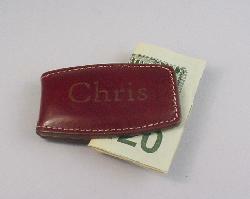 -Example engraving of name and "Hands Off"
Anodized engraved Money Clips are uniquely contemporary and can be engraved with your own inscription, with plenty of room for engraving. 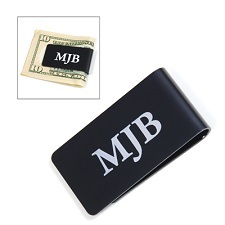 A short verse, a special quote, or a logo, these money clips are a great way to express yourself in a very special gift. 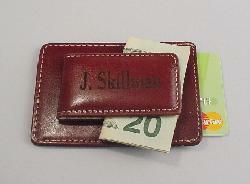 This money clip can hold up to 30 folded bills or 4 credit cards plus 15 folded bills.